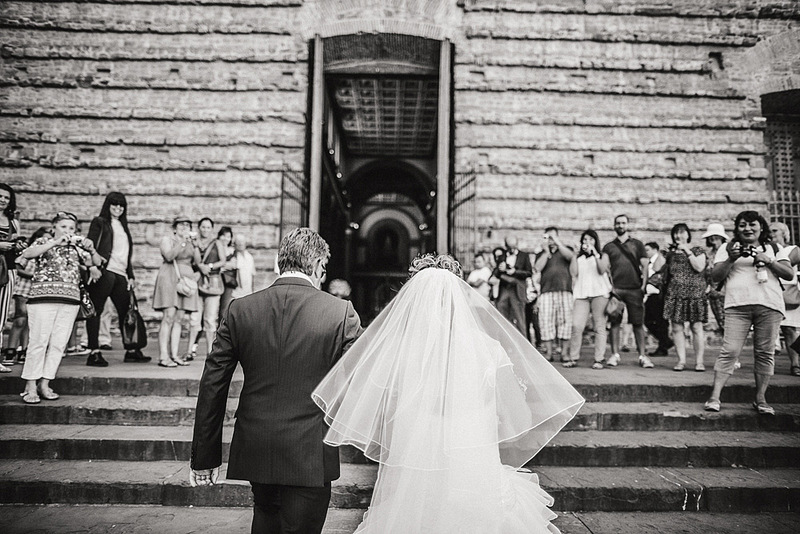 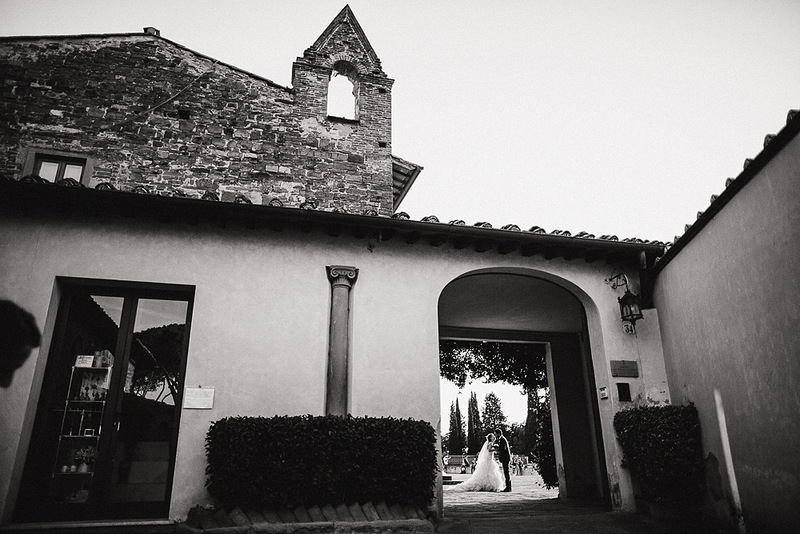 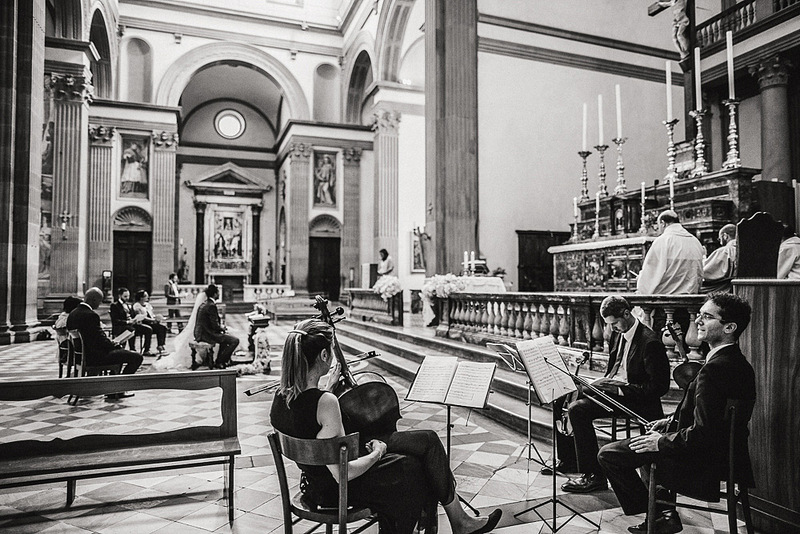 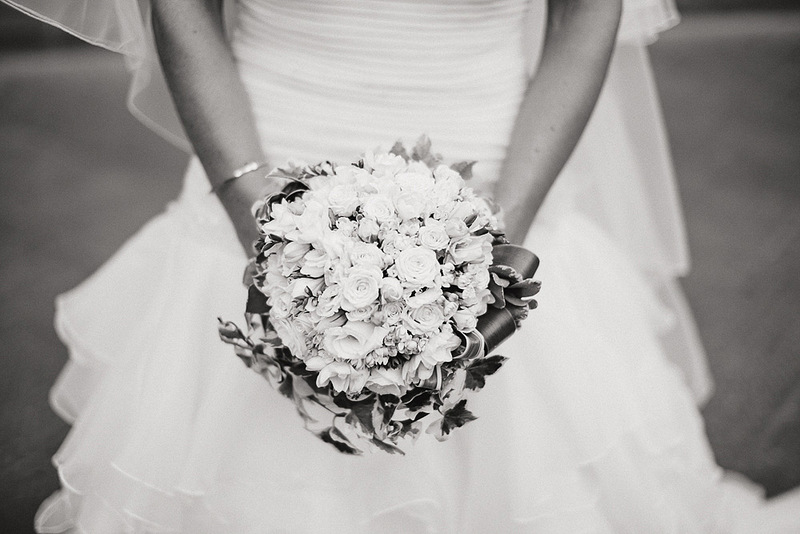 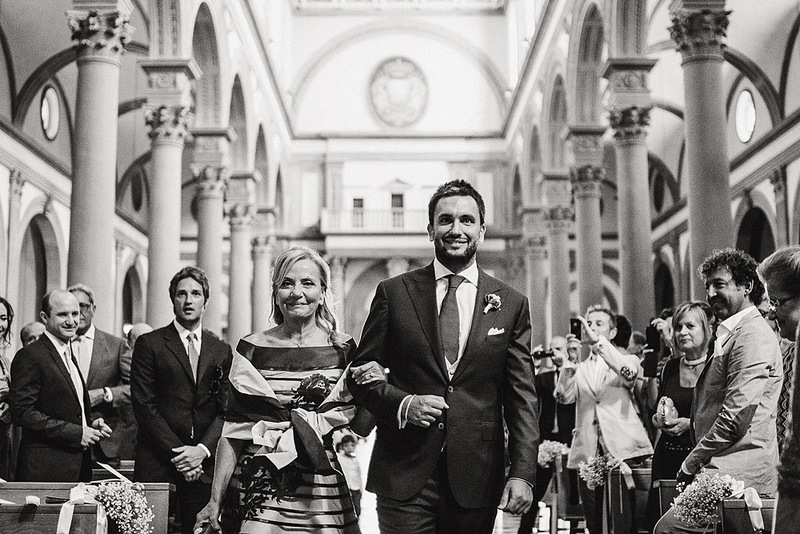 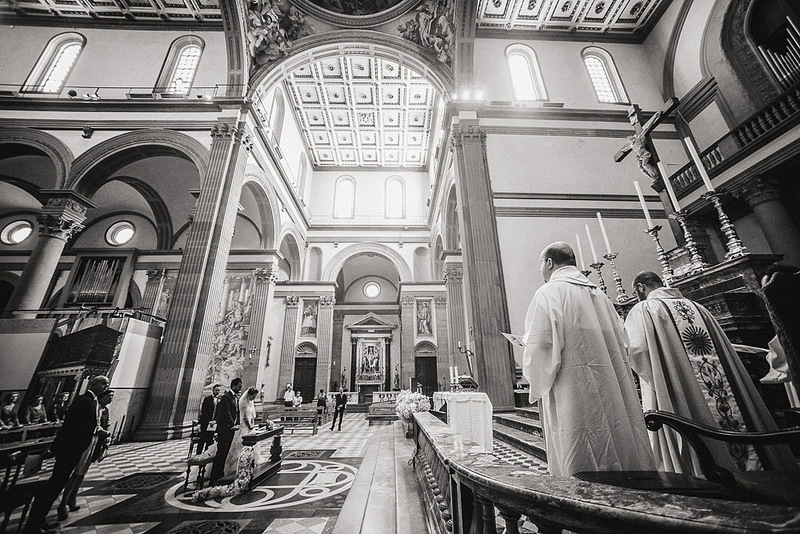 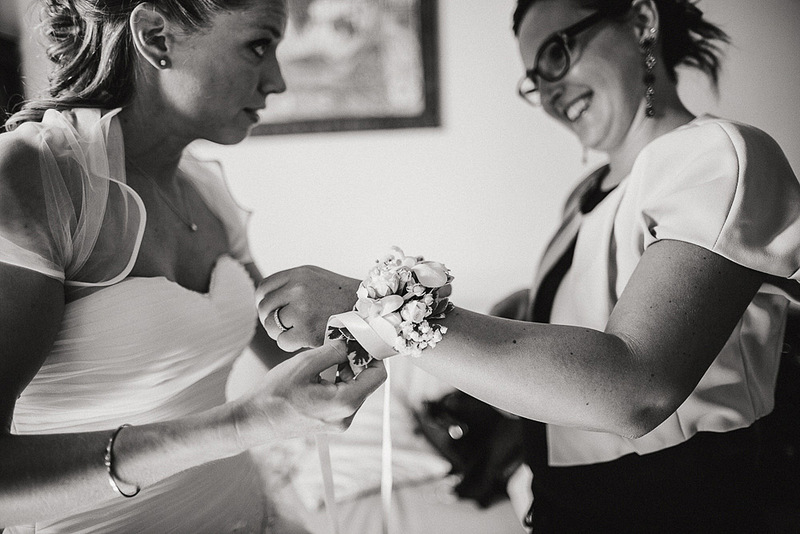 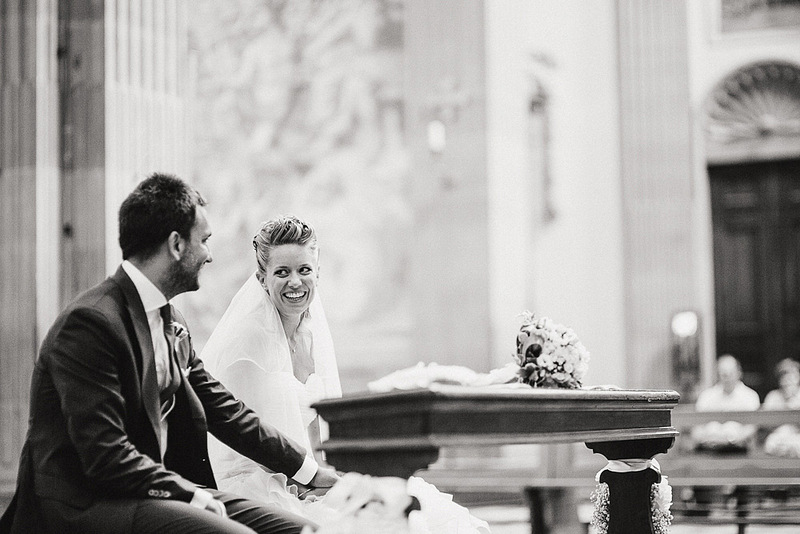 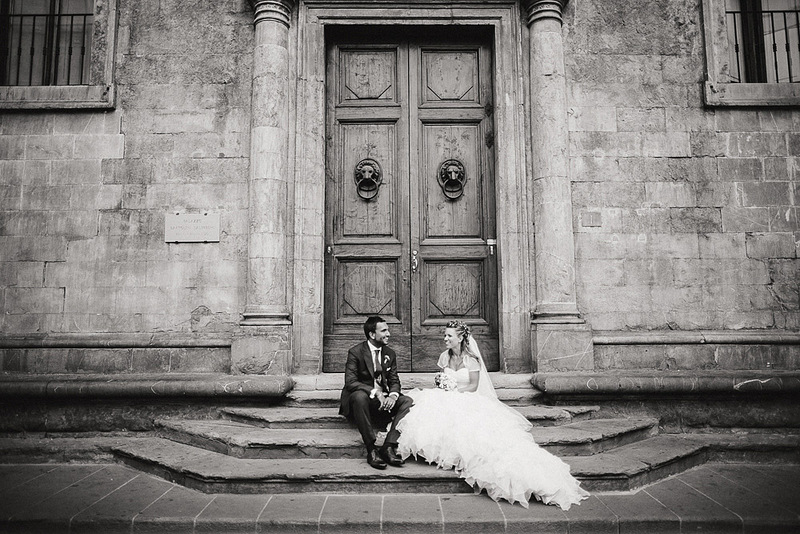 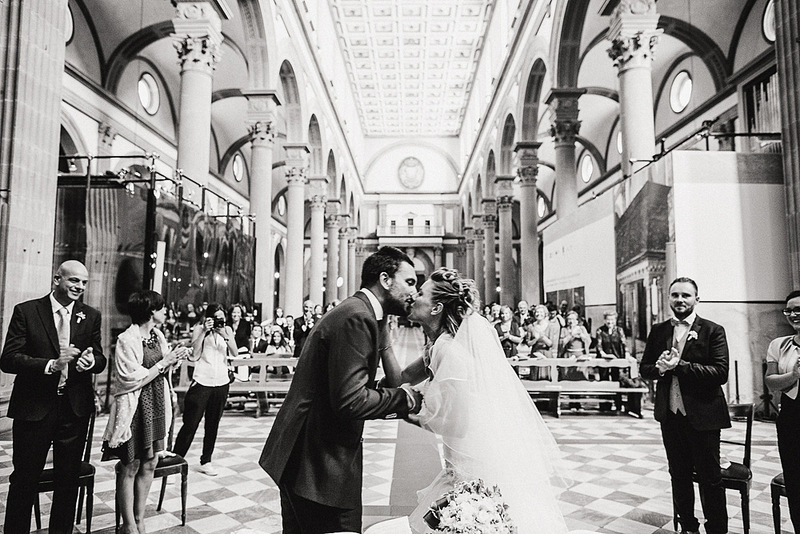 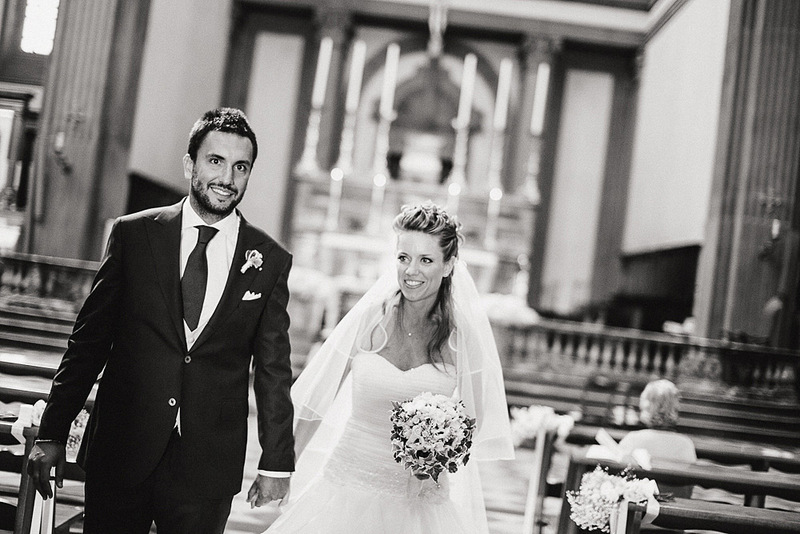 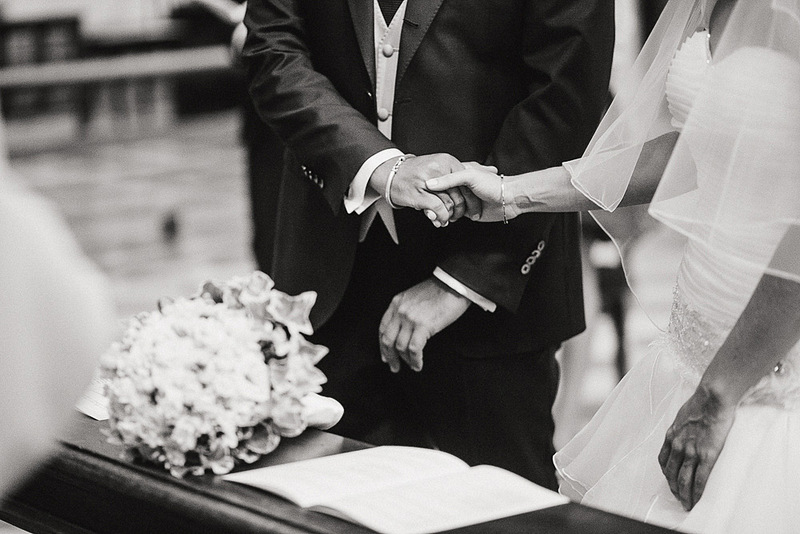 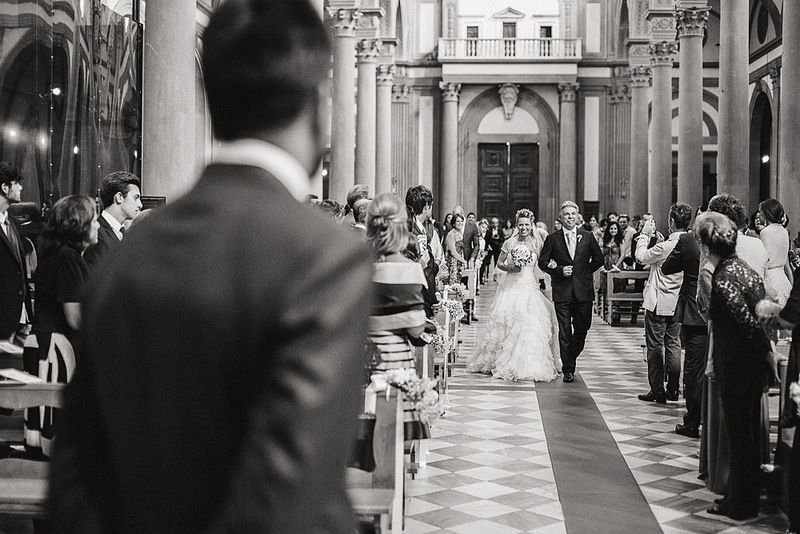 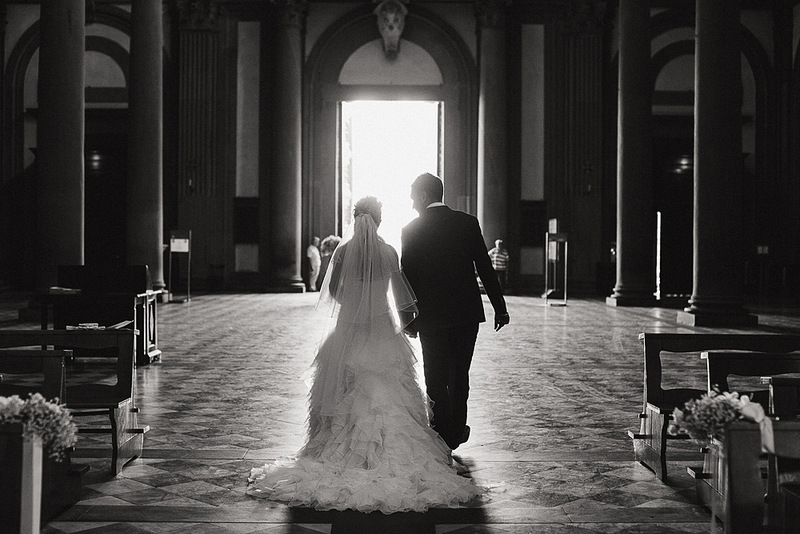 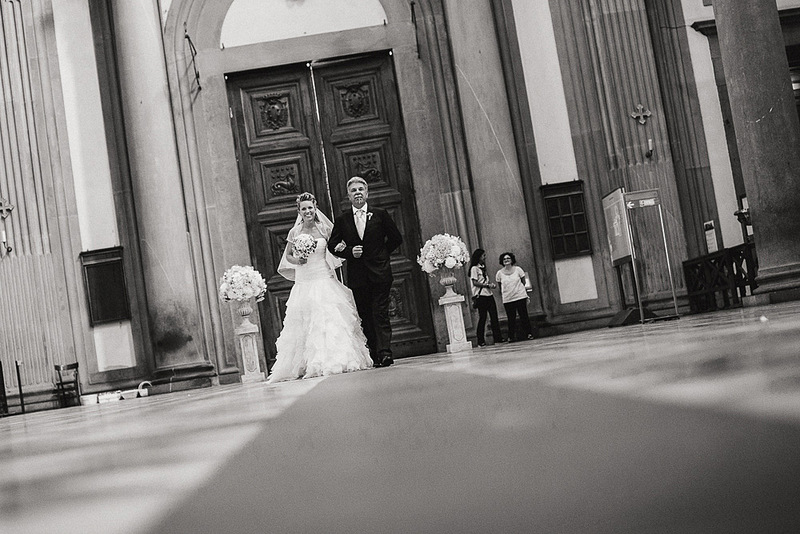 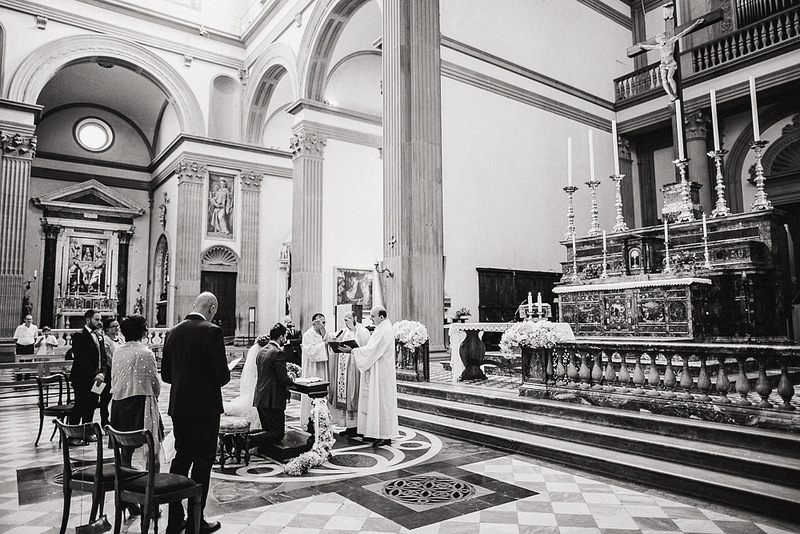 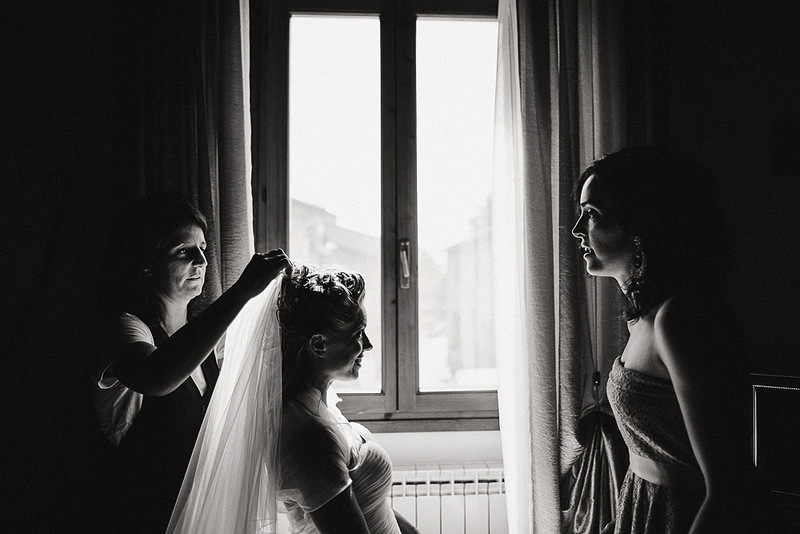 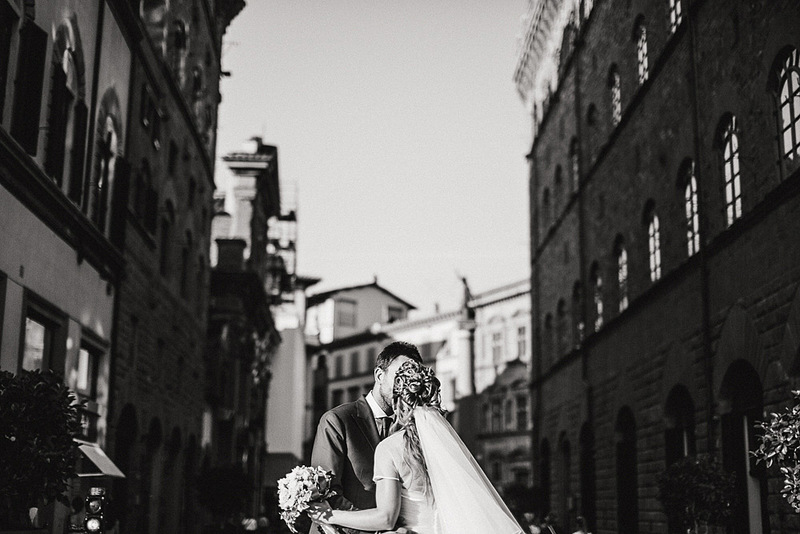 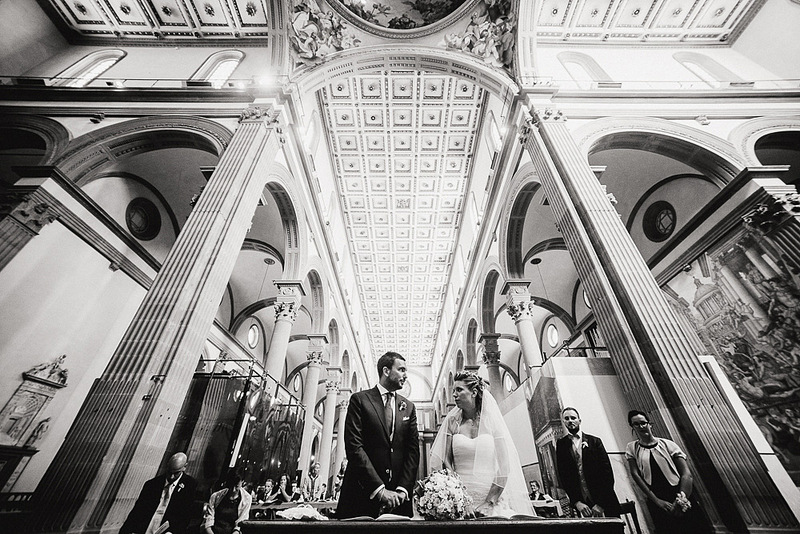 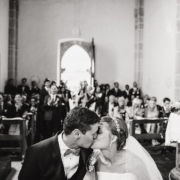 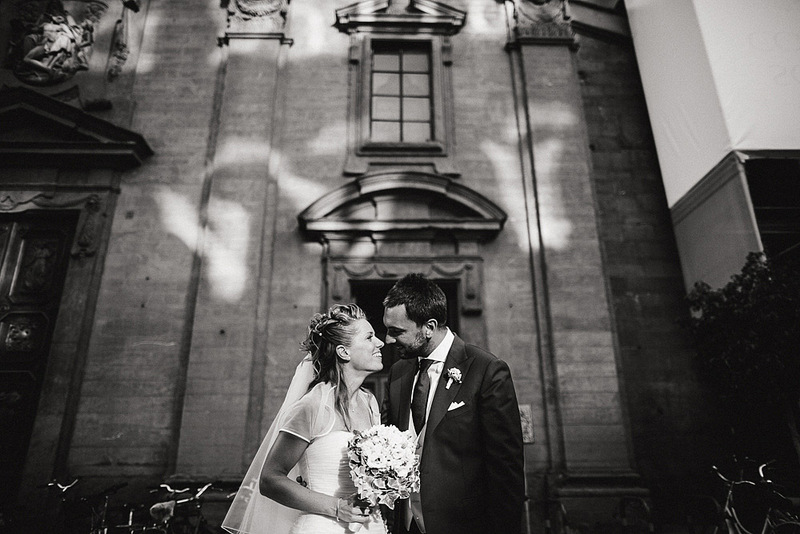 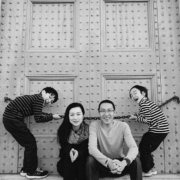 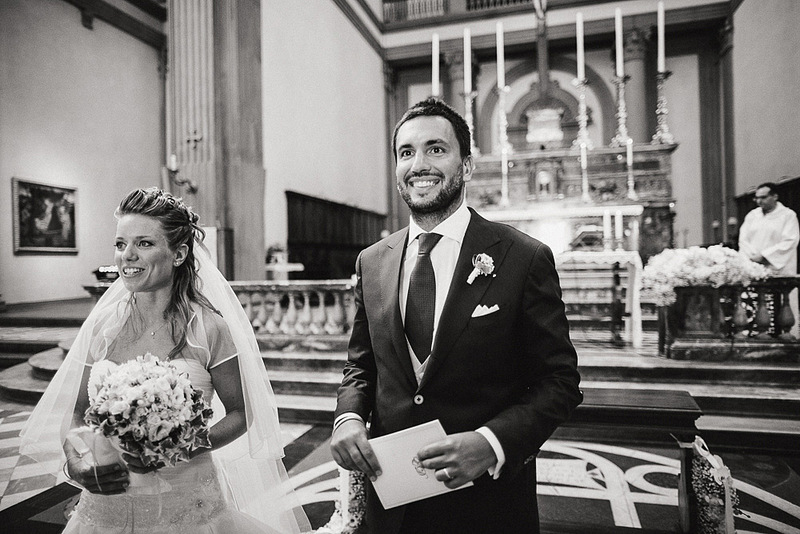 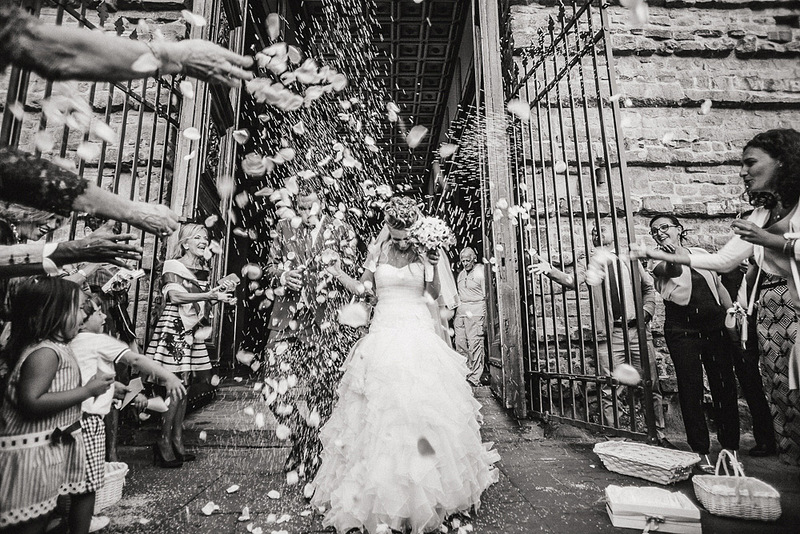 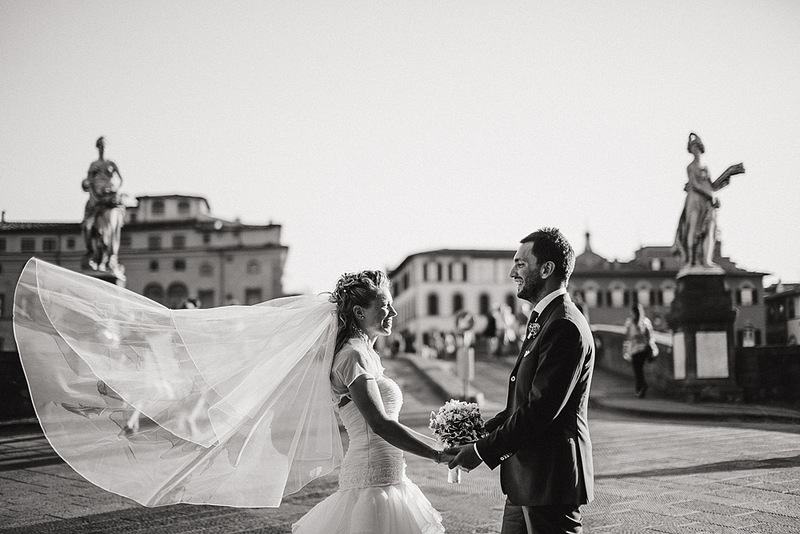 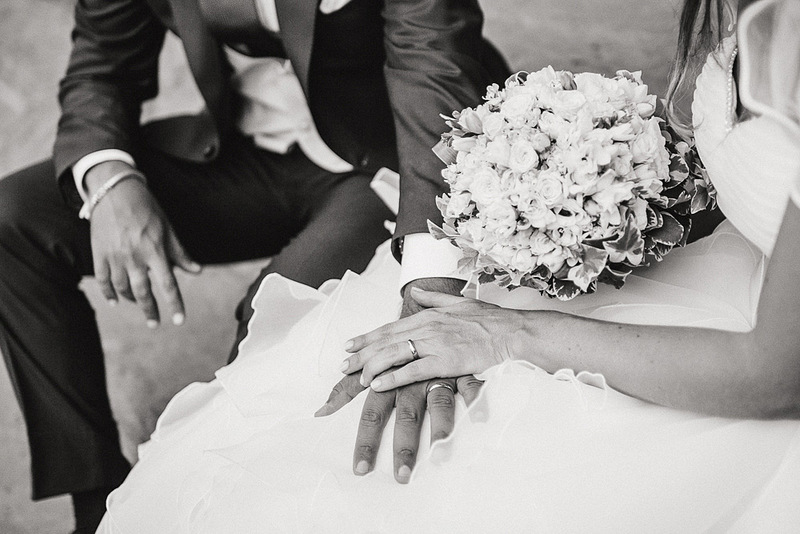 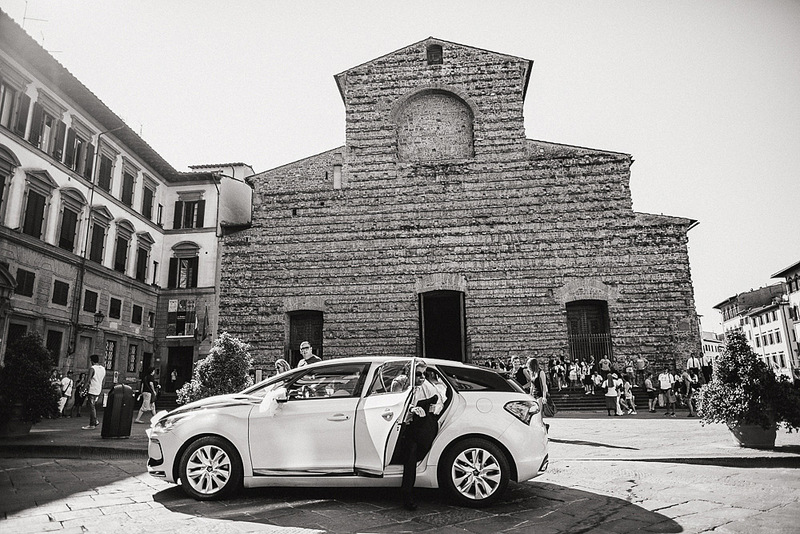 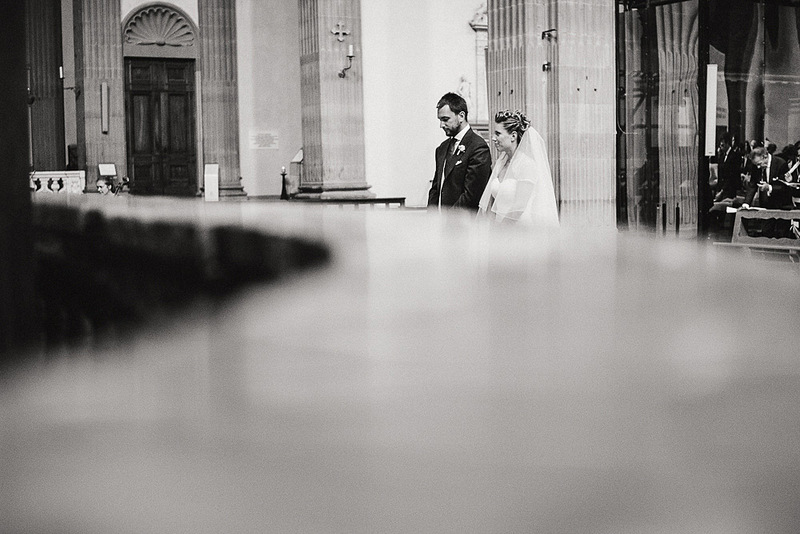 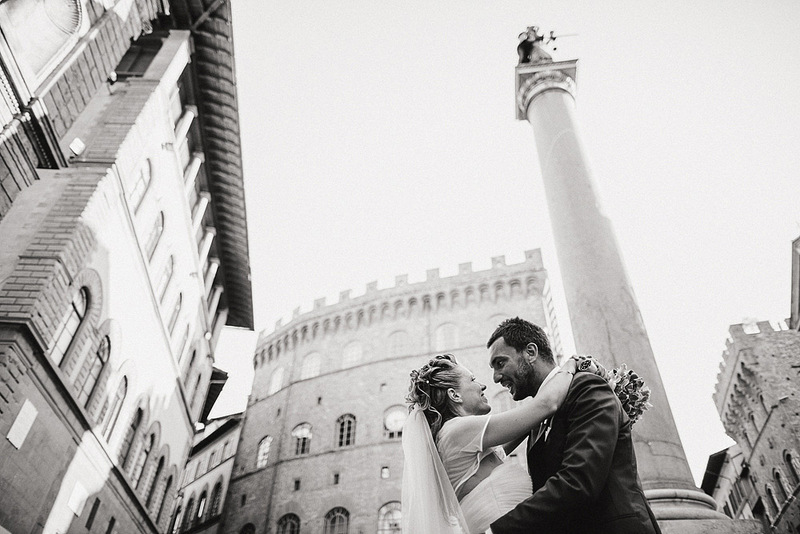 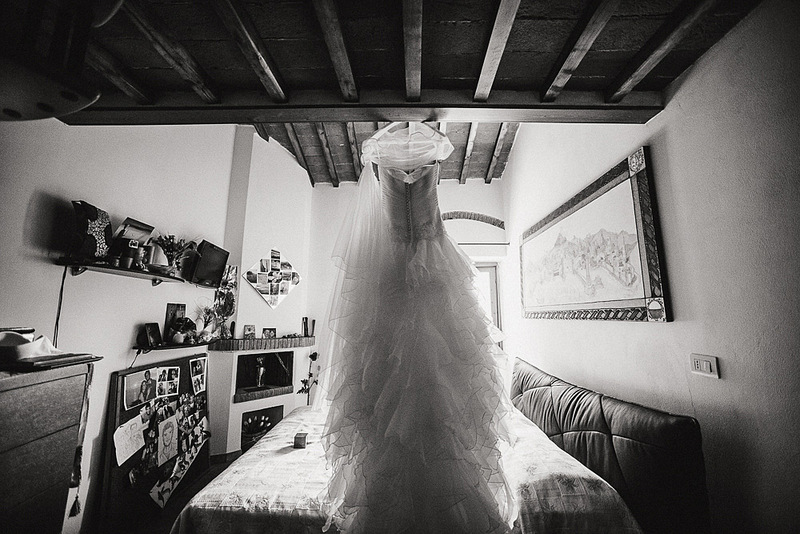 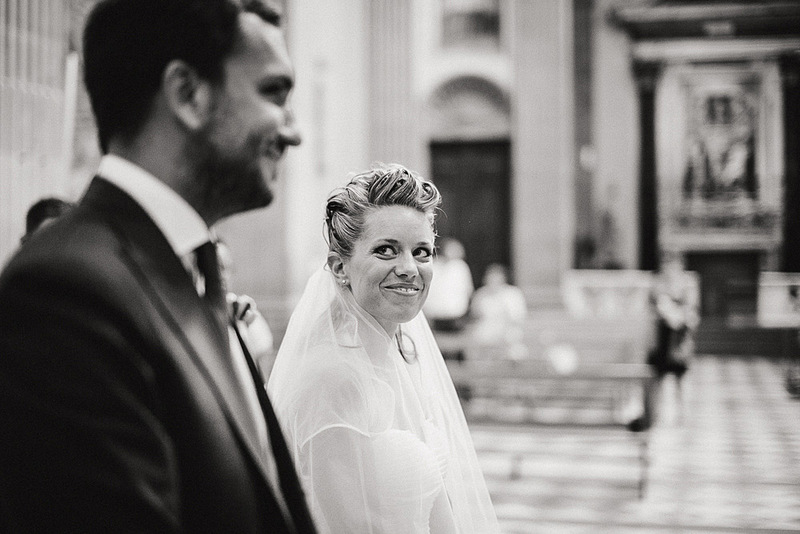 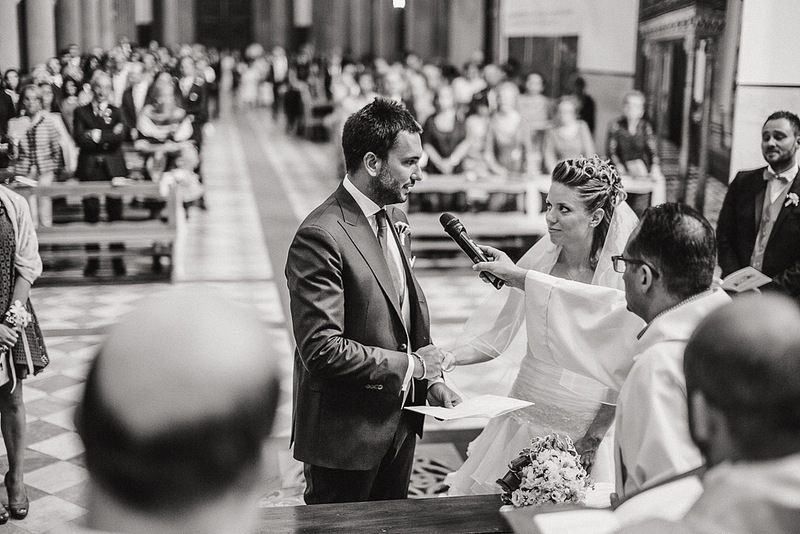 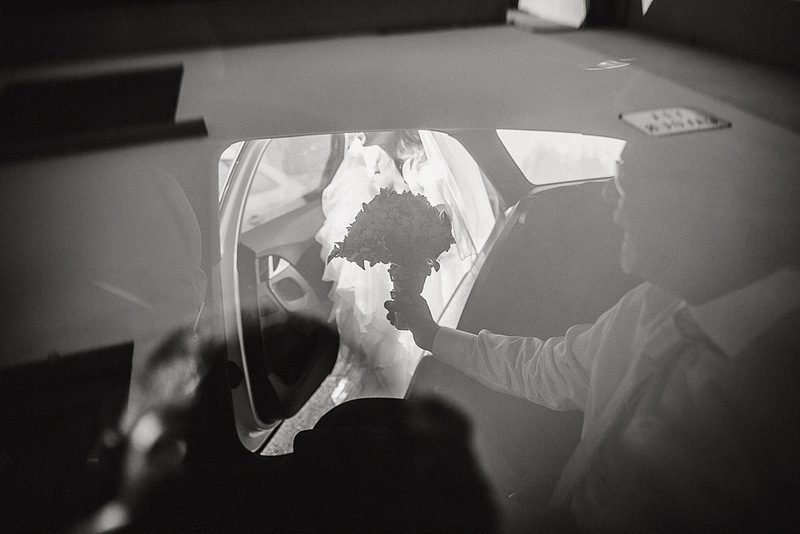 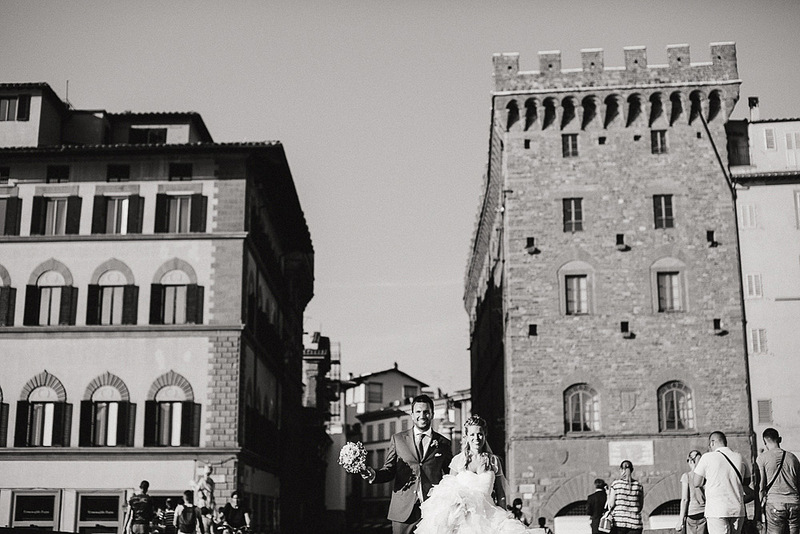 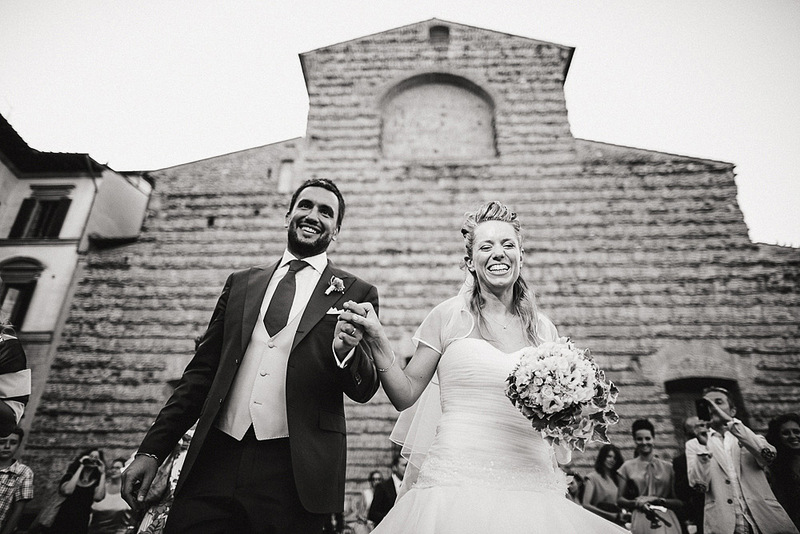 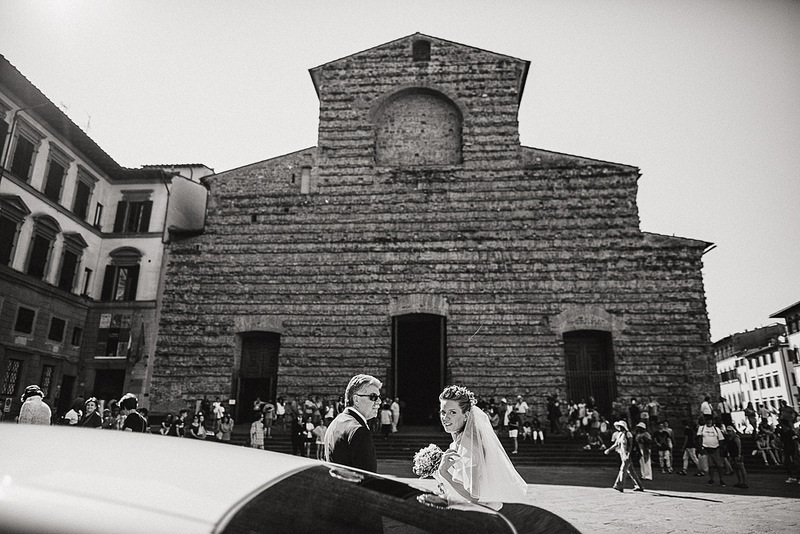 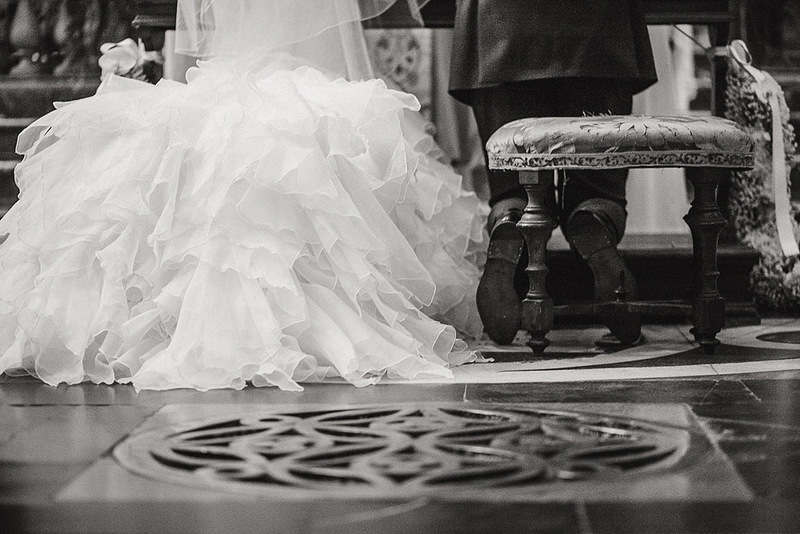 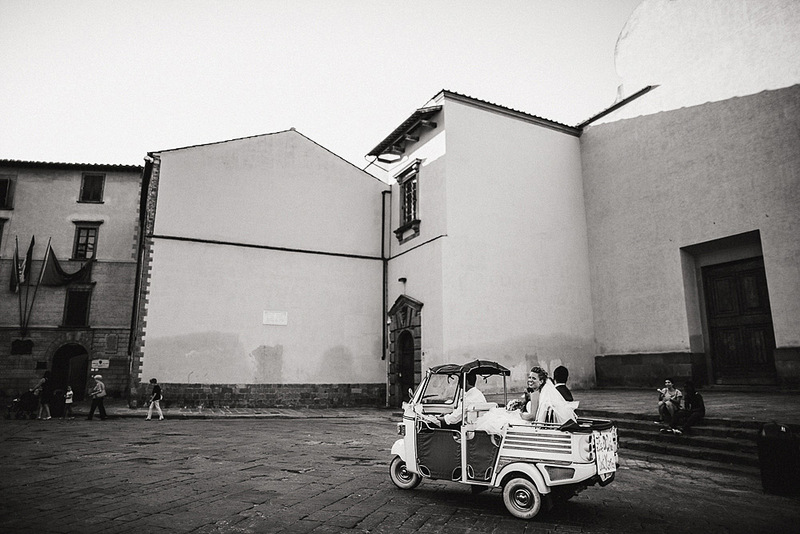 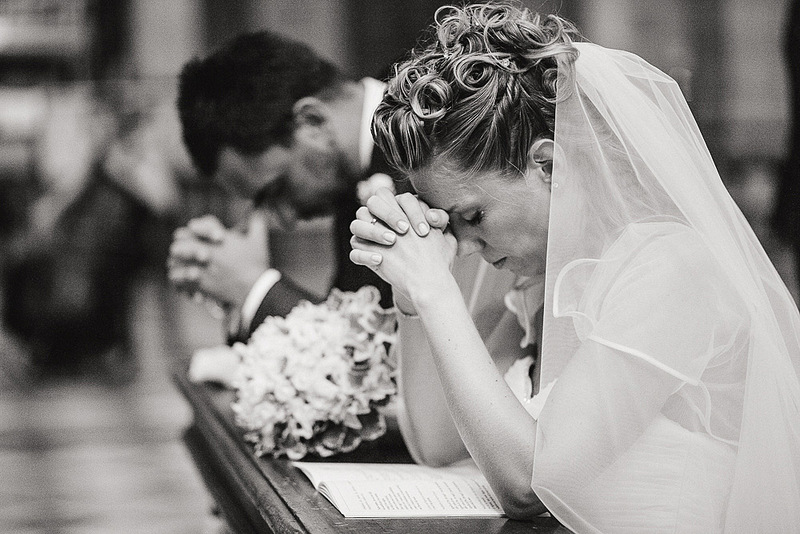 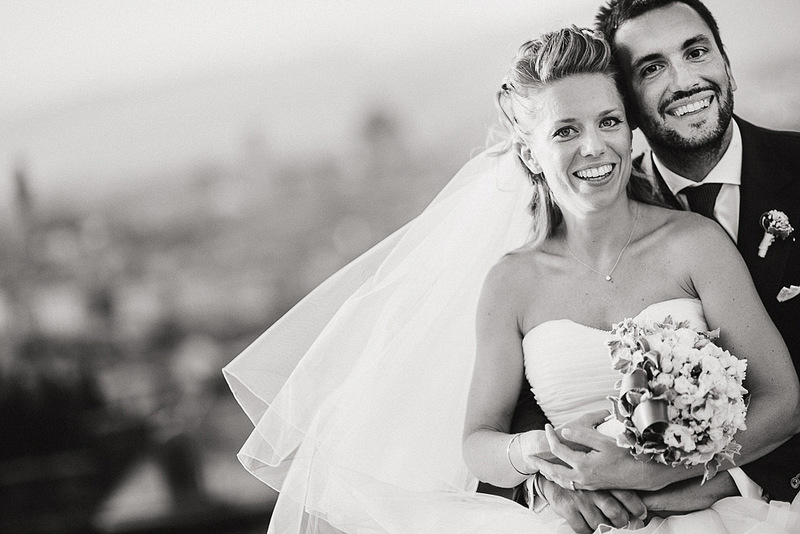 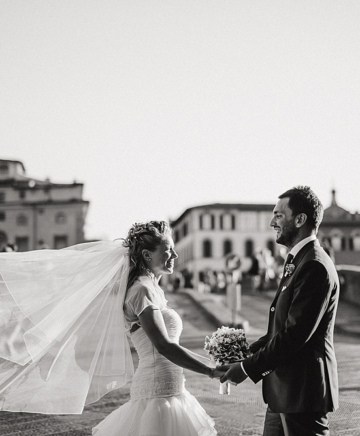 I am very pleased to introduce this tale, the story of the marriage of a beautiful Florentine couple who chose to celebrate the wedding in one of the main churches in the center of Florence, the Basilica of San Lorenzo. 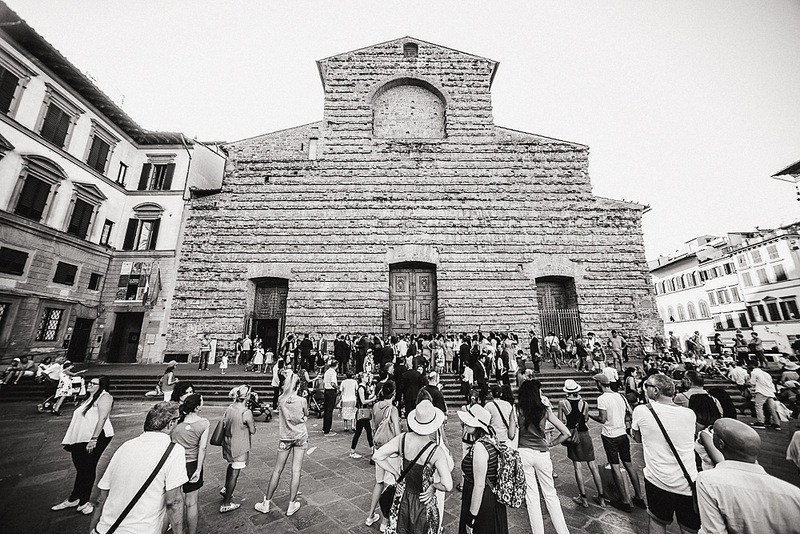 Now that the square is freed from the stalls, picturesque for tourists but very cumbersome, finally the church breathes and can be enjoyed by the thousands of tourists who first saw it unfortunately just barely among the souvenirs of the beautiful Tuscan city. 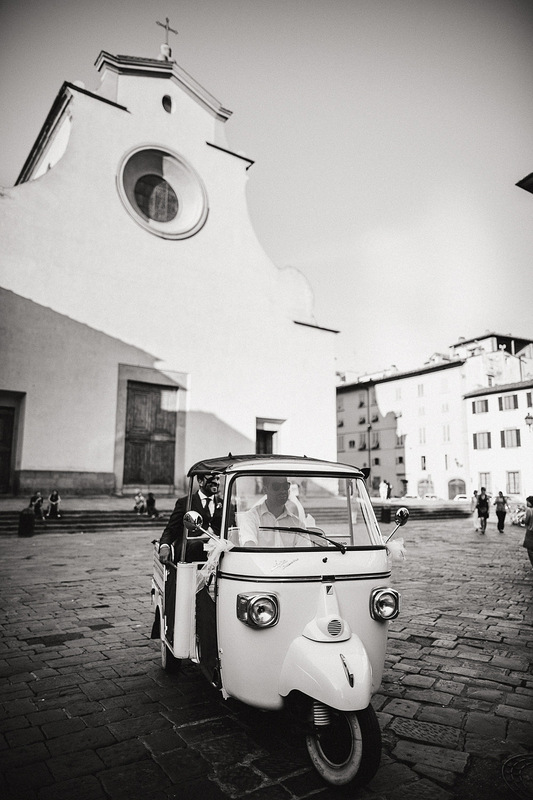 Immediately after the ceremony the couple's friends have organized a nice surprise, a ride in a "APE" gig for the historic center. 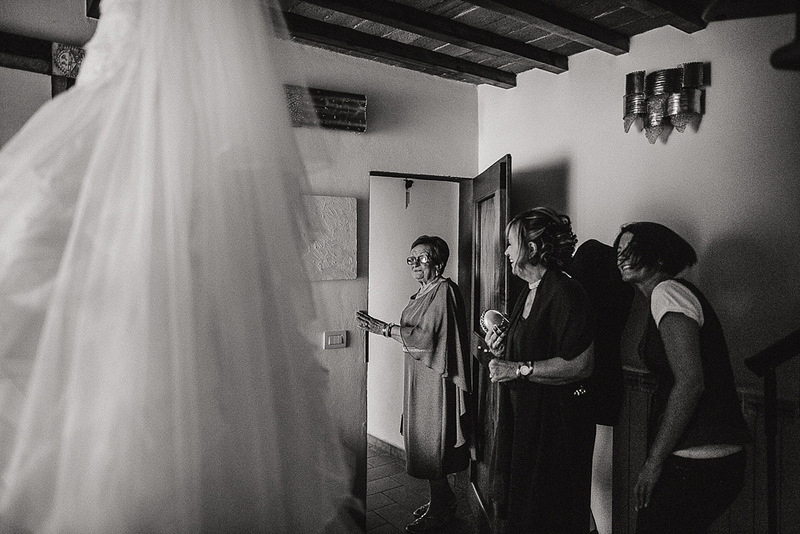 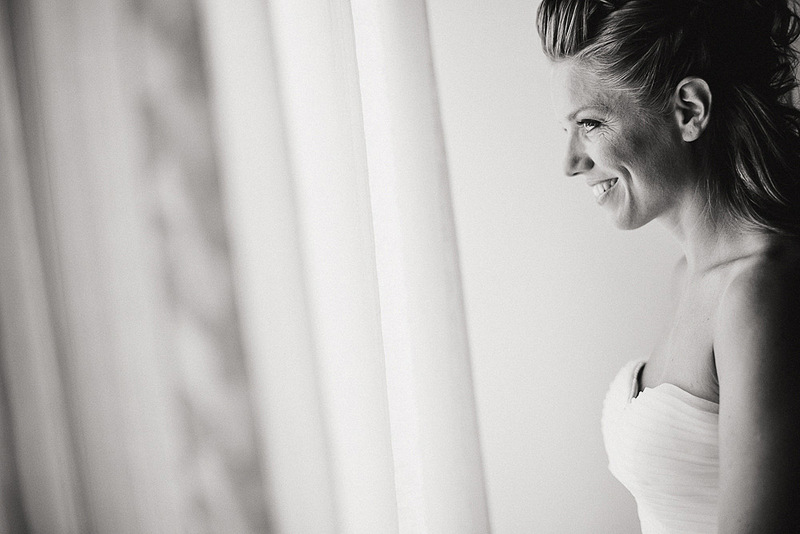 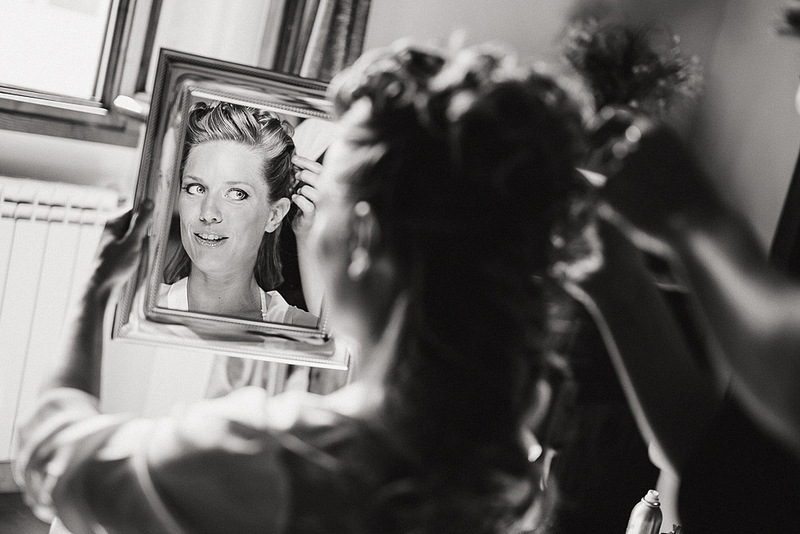 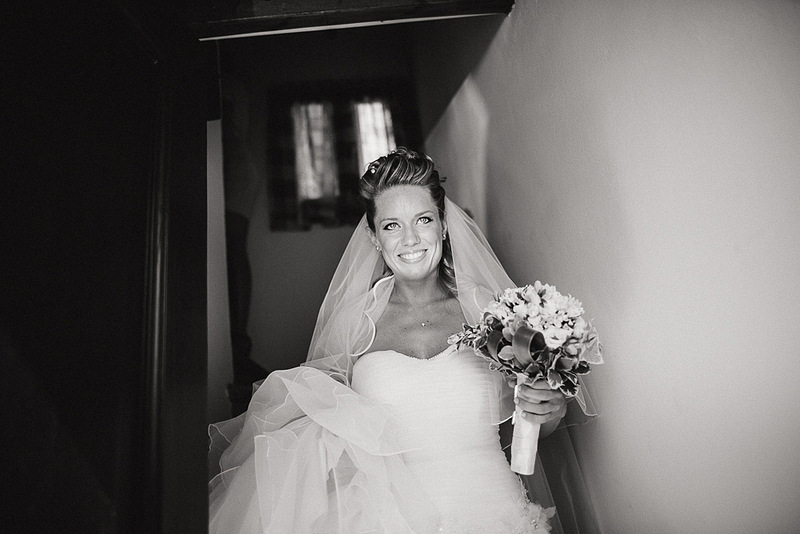 The thing most welcome to the spouses has aroused the astonishment of all the guests. 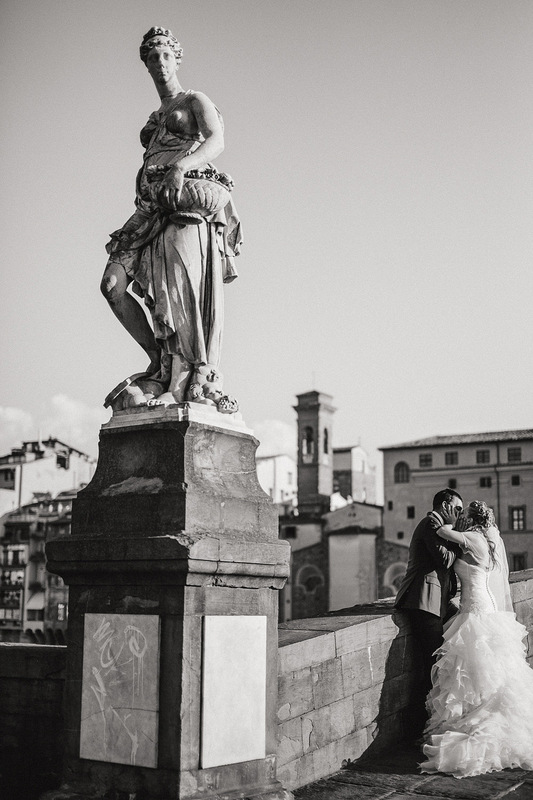 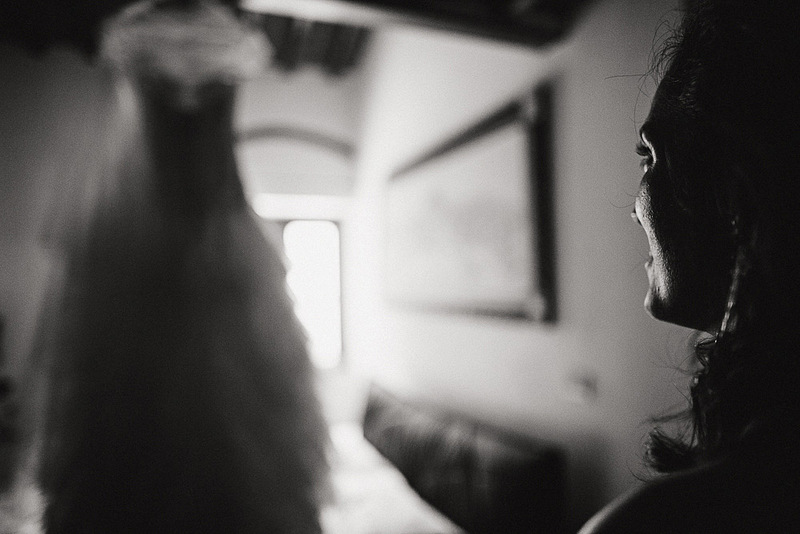 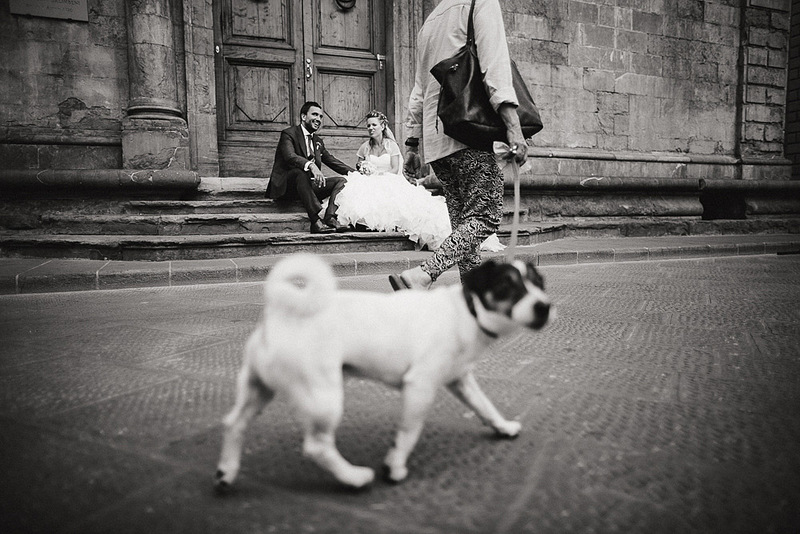 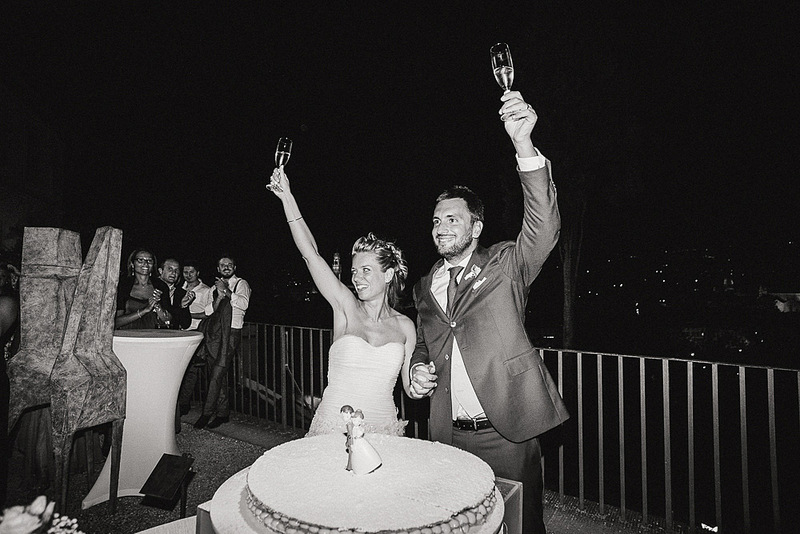 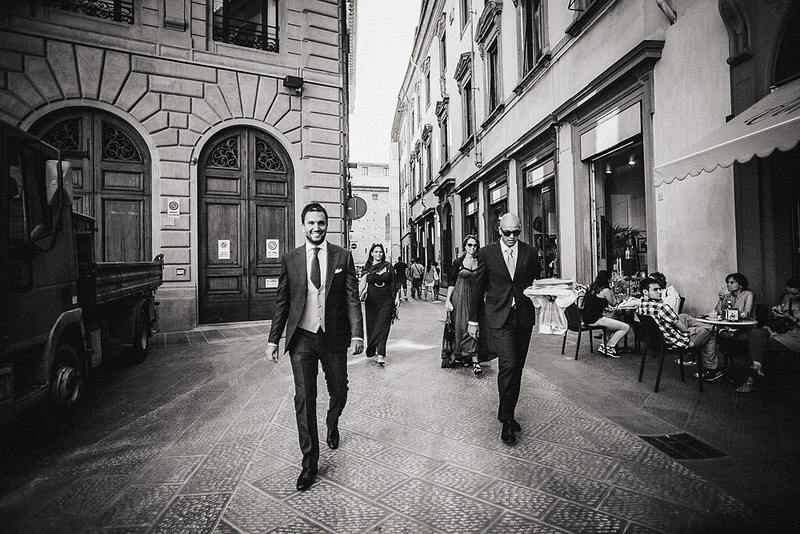 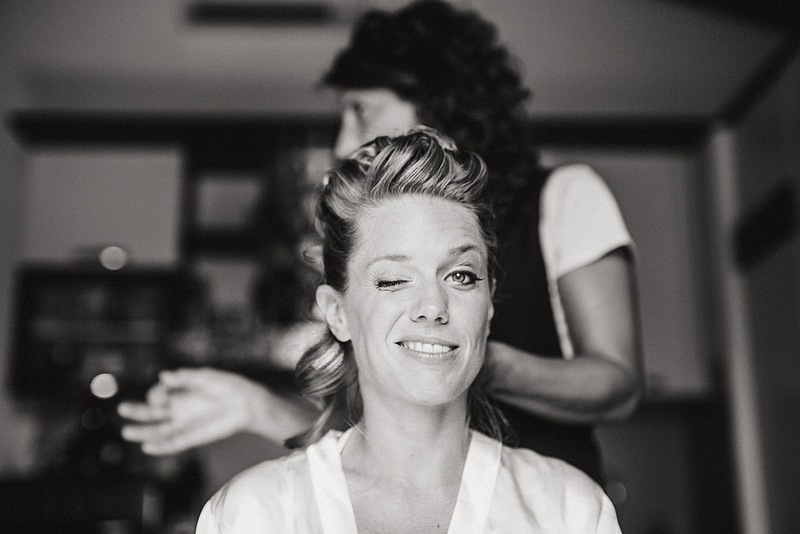 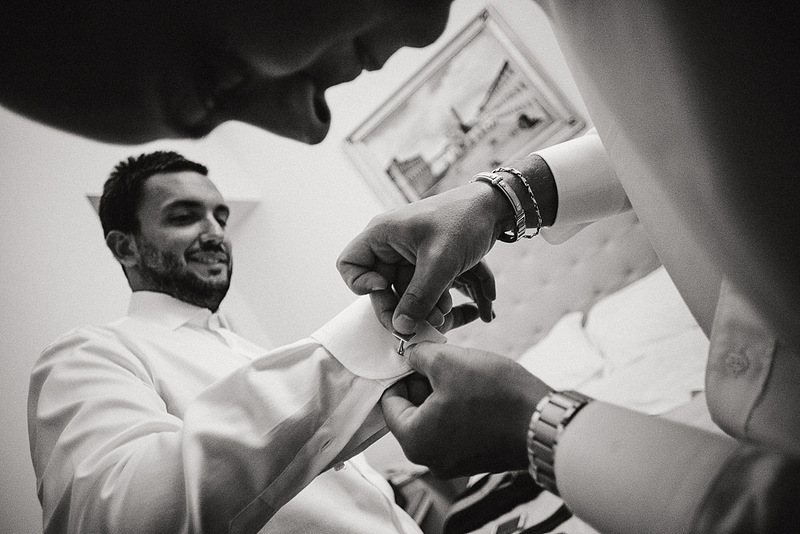 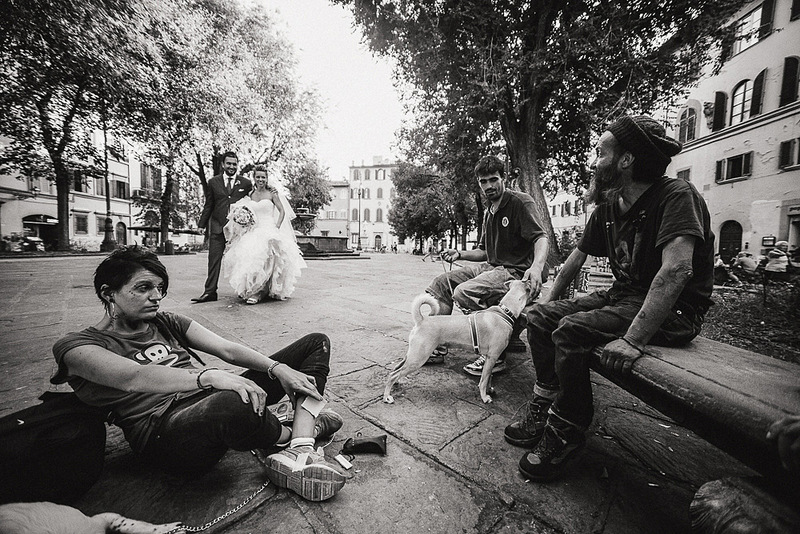 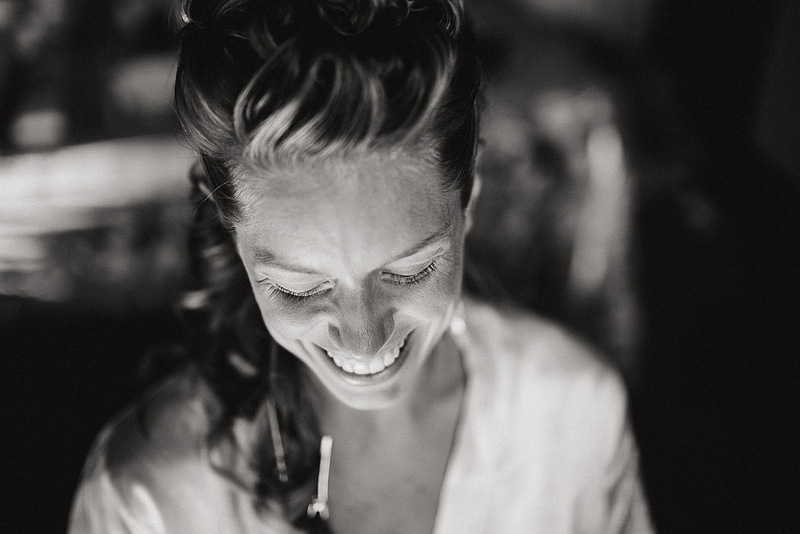 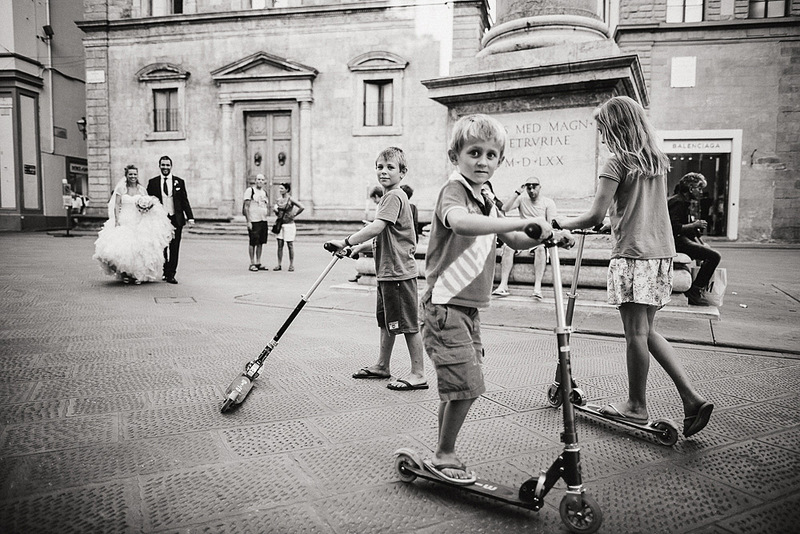 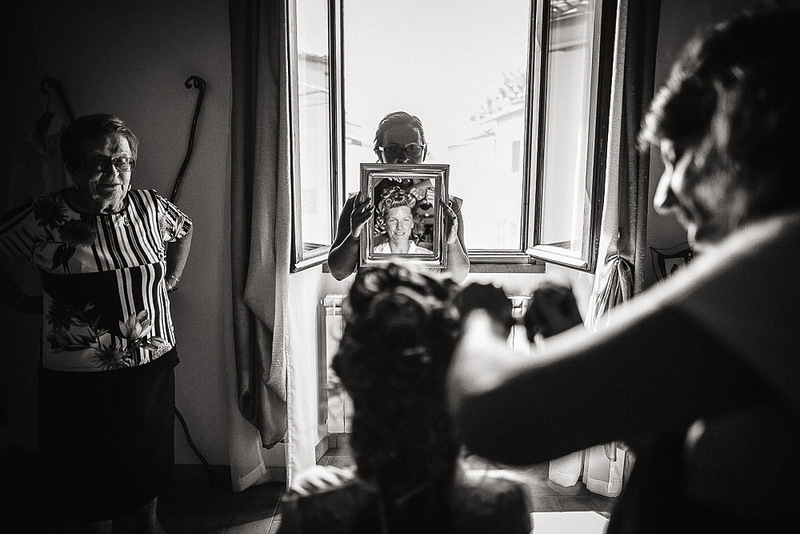 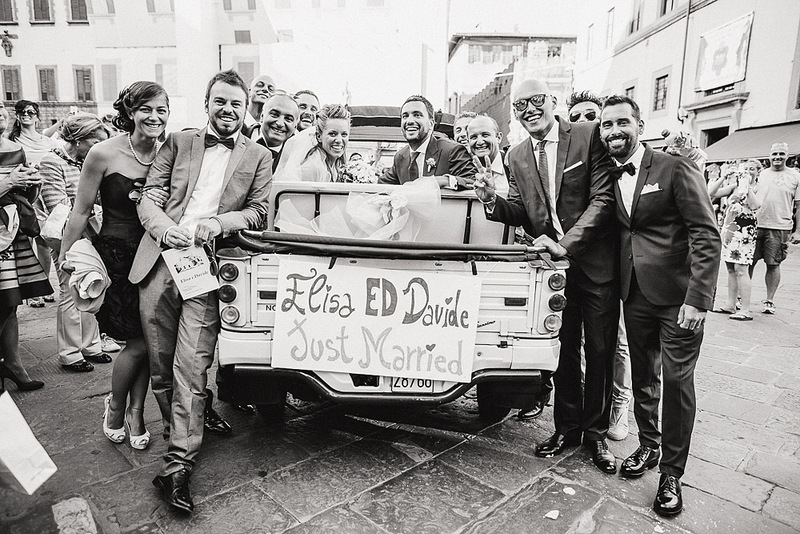 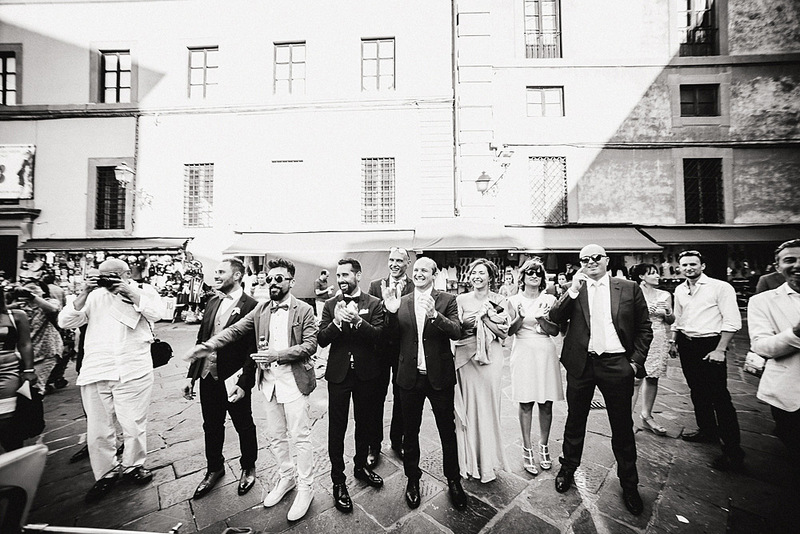 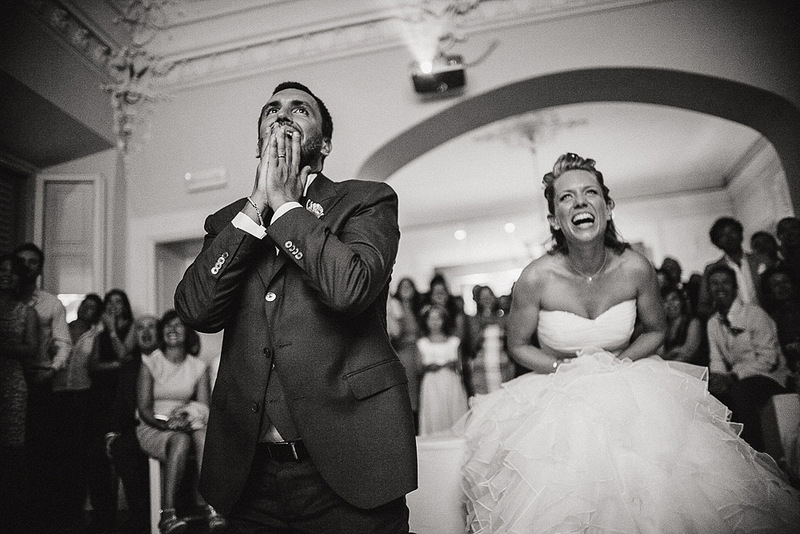 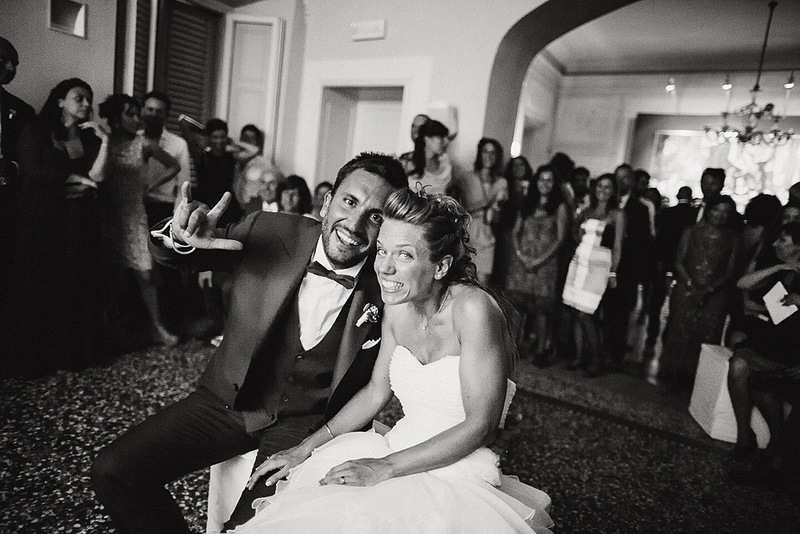 David and Elisa are a couple full of vitality and it was fun to celebrate with their marriage, the pictures we have done in the center of Florence tell of the joy and good-heartedness of this couple in love. 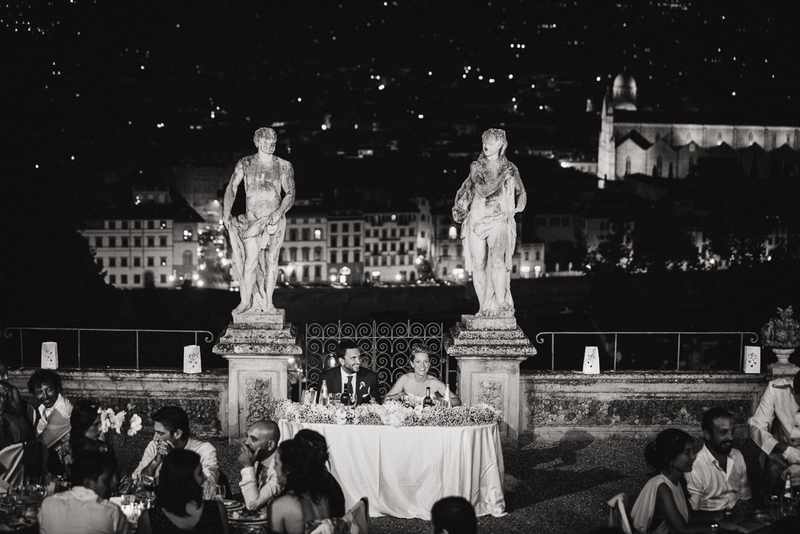 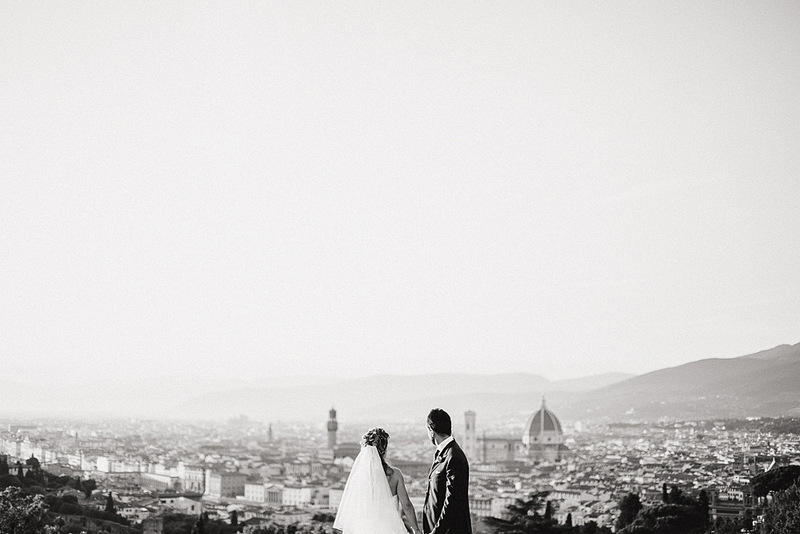 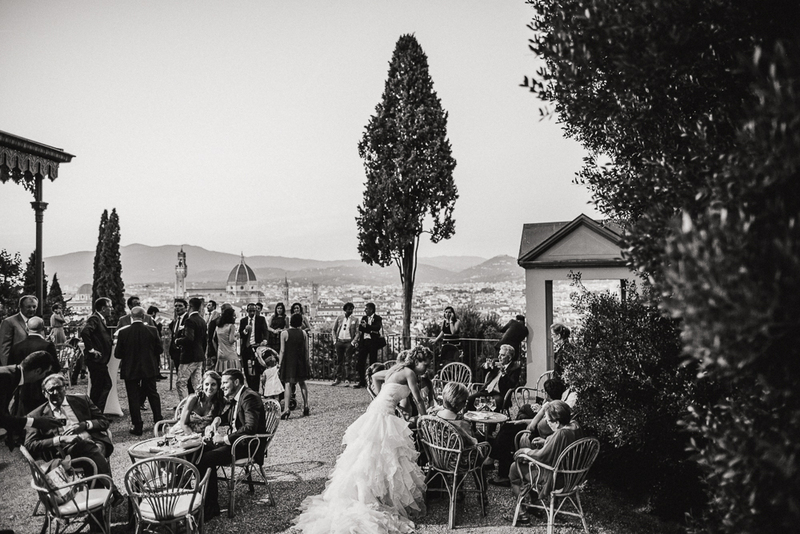 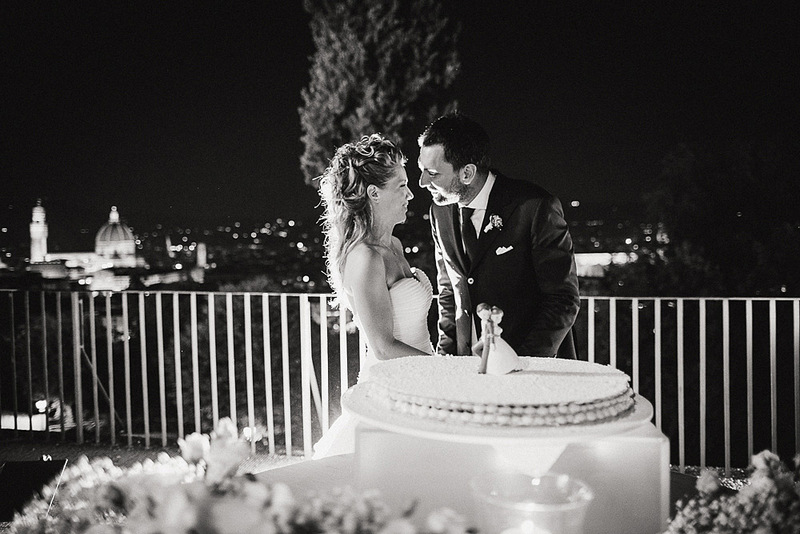 Florence has many viewpoints, hillside points from which one can see the whole city, but you have never been invited to a wedding reception and could see Florence while sitting at the table? 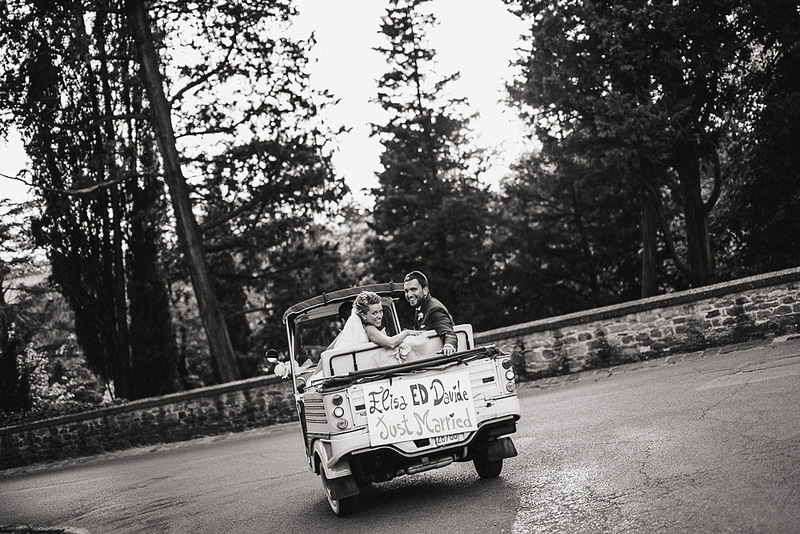 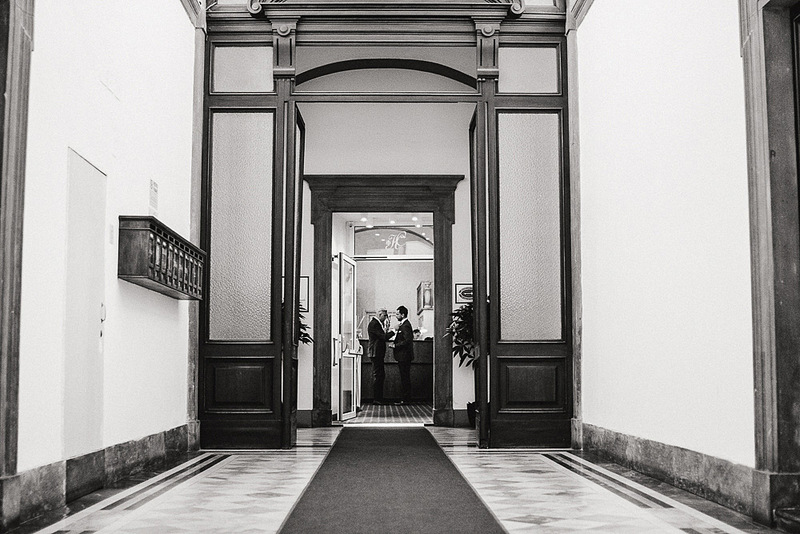 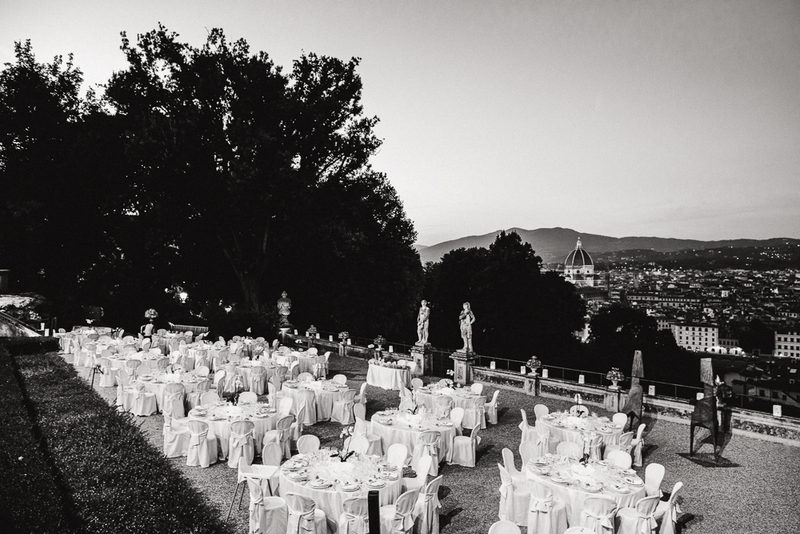 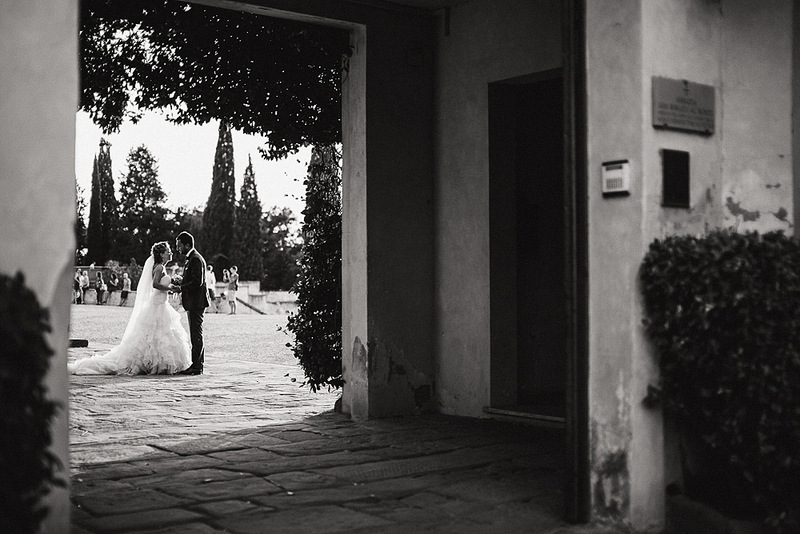 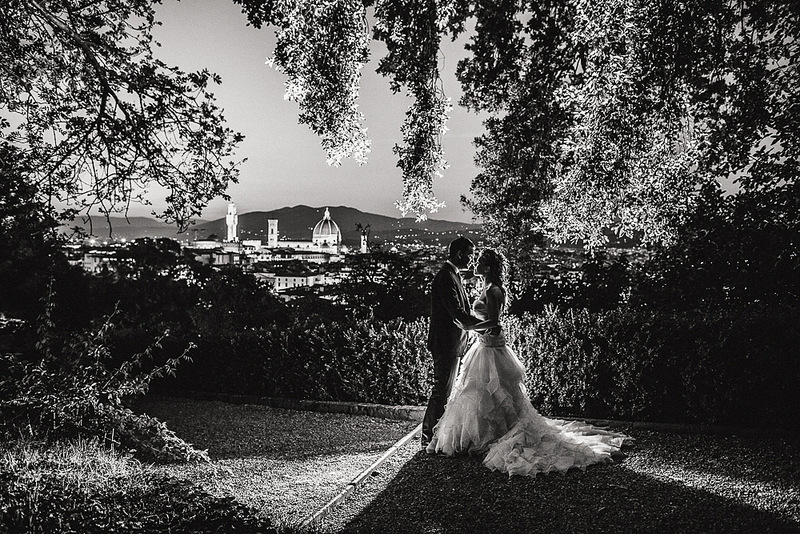 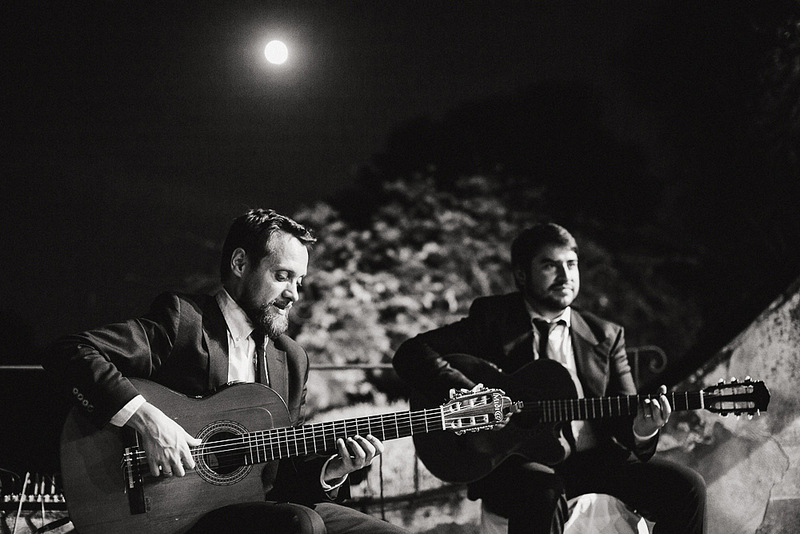 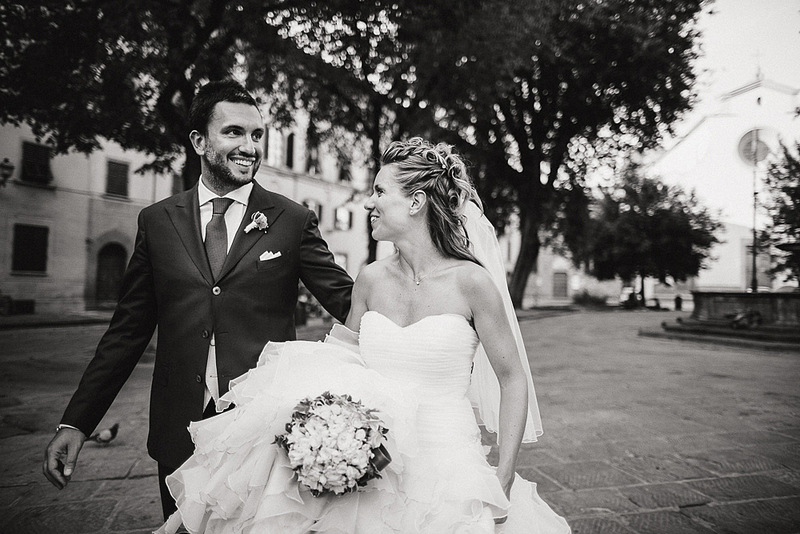 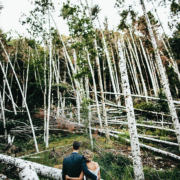 To Villa Bardini Gardens you can, it seems incredible to have such a spectacular place to celebrate their wedding. 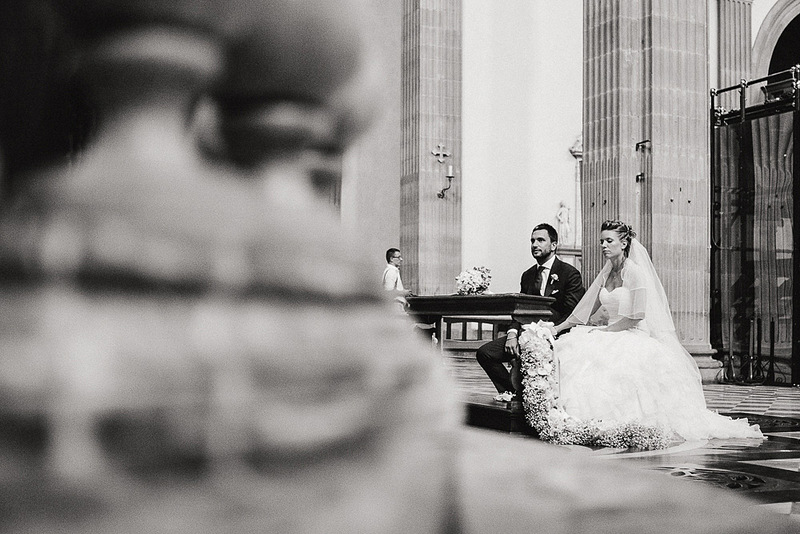 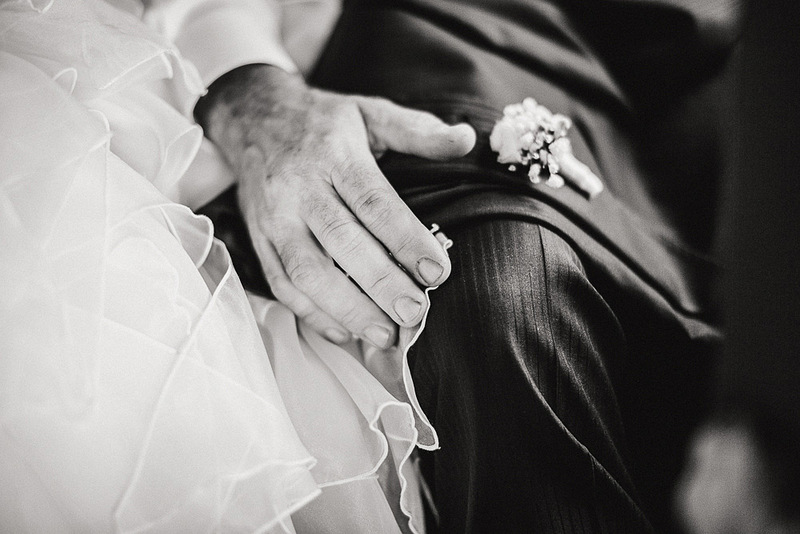 For once in your life it seems right to feel like a king and a queen.